Scott, we keep talking about Joseph Campbell. Let’s review a documentary on him – 2011’s Finding Joe. Greg, given that so much of our analyses of the heroes in the movies is based on Joe Campbell’s ideas, it only makes sense for us to give this movie a close examination. Let’s recap. Finding Joe is a feature-length documentary about the teachings of Joseph Campbell, his Hero’s Journey, and his parting wisdom to “Follow Your Bliss.” Several authorities on Campbell and other prominent figures are interviewed to give their ideas on Campbell and hist his teachings. They briefly discuss Campbell’s life as a comparative mythologist. He became enamored with Native American lore as a child and went on to university to study all the world’s myths. He discovered that all mythical stories use the same pattern to tell a story. A pattern he called The Hero’s Journey. The Hero’s Journey is broken into three parts – Separation, Initiation, and Return. And the rest of the film is basically broken into the same three parts. In Separation we meet the hero in her ordinary world and discover her wants, needs, and desires. Then there’s a “call to adventure” and the hero enters Separation where she is separated from her familiar world and enters the Special world. In Initiation the hero has trials to overcome. And in Return the hero must return to the Ordinary World and share the lessons learned. Next the movie delves into the functions of mythology. Campbell taught us that hero mythology is a metaphor for our entire human existence, and that most of us don’t get this fact because we are “metaphorically impaired”. We learn just how closely Campbell studied Jungian psychology (and as a psychologist, I loved this part). Hero tales are rife with symbolic archetypes mined from the deepest corners of our collective unconscious. We resonate with hero stories because they are mirror images of our deepest wishes as well as our deepest fears. The narrators set up the premise that we are all hampered by external expectations of others. The expectation of going to school, getting married, having kids, getting a job, climbing the corporate ladder, etc… And these external “Shoulds” and “Shouldn’ts” make it difficult to find our one true self. And the myths of days gone by are actually metaphors for this quest – to find who we truly are. And Campbell teaches us that in the end, we are all responsible for our own destinies. If we don’t like where we are in life – only we can change that. So how do we enter into the adventure? Usually it is some severe loss or tragedy that sends us unwillingly into the journey that we need to undergo, like it or not. A job loss, a divorce, a death in the family, a bad medical diagnosis. Finding Joe gives us classic examples in film in literature, with The Wizard of Oz cited many times as a story that adheres to the classic pattern. This “phone call” to adventure is a pivotal life-changing moment in the story, and we’re told that something has to die for human growth to take place. We learn that “if there is no death, there is no transformation.” This film emphasizes the importance of Resurrection in the hero’s journey, which Greg and I have termed heroic transformation. Now we understand how religion and religious stories have been able to dominate world culture and thought for thousands of years. Now, the discussion turns to “following your bliss” – which is quite possibly the most misunderstood concept of Campbell’s teaching. “Following your bliss” is not a call to become selfish, hedonistic, or self-serving. But to find that thing within you that you “can’t not do.” It is a review of your most basic hopes, dreams, and desires. Then, you must take action to make that thing happen. The problem most people have is they are wracked with fear of change and what others might think. And we must push past the fear. This is what Campbell called the “dragon.” The dragon that must be slayed in our individual hero’s journey is fear. Finding Joe then concludes by emphasizing the crucially important idea that everyone is not only capable of becoming a hero but is hard-wired to become one. Hero mythology is not simply entertainment; it is a call to all readers and listeners to go on the same journey as the hero protagonists. The final Return stage of the journey consists of the hero returning home, only home is not the same because the hero is not the same. The hero returns transformed and must pass the gift of transformation onto others. In this way, the hero of the story becomes the mentor to future heroes who are on earlier stages of their journeys. Sometimes the hero’s boon or gift is her story itself, which is intended to nourish and inspire future generations. 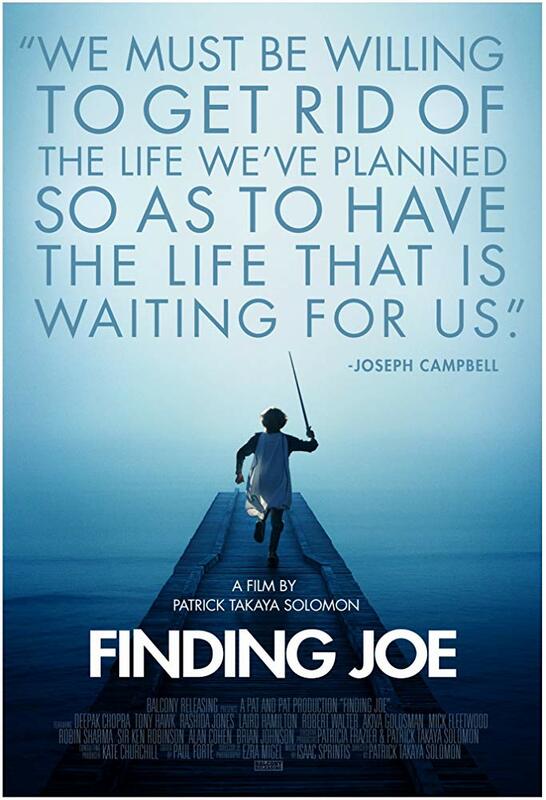 Finding Joe is a beautifully crafted and filmed documentary and does justice to Campbell, his message, and his legacy. The use of children to act out allegorical tales is delightful. The narrators were authentic and the actors and athletes who shared their story of overcoming adversity and their hero’s journeys were compelling. However, I felt the message of the film was a bit muddied. I am not sure if this is a call to adventure for the audience to “find your bliss” or just a reflection of the power of the hero’s journey. I think the material could have been more logically organized and mapped back to the hero’s journey to convey how each of us experiences different journeys and how hero’s journeys are metaphors for life. Occasionally, Finding Joe felt like a cross between a Tony Robbins motivational speech and The Secret. as the film dips its toe into a bit of New Age mysticism and metaphysics. Sadly, that’s where Campbell’s teachings are finding a home these days (I had to watch the film on the ‘Gaia’ channel for New Age viewers, for example). This may be inevitable since most of Campbell’s teachings come from ancient myths that are mystical in nature. However, that masks the true power of the hero’s journey – that we are all heroes, we all have the power to become the hero of our own story, and we have everything we need within us. Finally, I was disturbed by the lack of female voices in the film. There were perhaps a couple dozen people interviewed and I saw only three women. Even the children acting out the stories were all young men. In the current age we need to remember that heroism is not a masculine trait, but one shared by every person. I feel Finding Joe is recommended viewing for everyone – bar none. Despite it’s few flaws, it reminds us of our innate power and gives us permission to exercise it. And it gives us a metaphor for overcoming obstacles through centuries of mythical teaching. However, if you want a less commercial version of Campbell’s teachings, I recommend watching the Bill Moyers interview series The Power of Myth which features Campbell in the months before his death. I give Finding Joe 4 out of 5 Reels. Finding Joe is the gold-standard documentary film about the philosophy of the iconic Joseph Campbell, whose genius revealed the basic pattern of all hero storytelling. Writer and Director Patrick Takaya Solomon deserves huge credit for crafting this lovely movie, bringing all of Campbell’s brilliant insights to life through storytelling, anecdote, quotation, and personal life experiences. My students at the University of Richmond are given the assignment of watching Finding Joe, and almost all of them love it and gain incredible self-insight from it. Greg, I didn’t think the message was muddied as much as it was skewed toward the bliss-finding aspects of Campbell’s message. You’re right that “Finding Your Bliss” has been misrepresented by the popular media and the public at large. 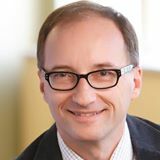 Campbell himself regretted the misuse of his phrase, lamenting how many people mistook the message as “Do Whatever You Want” or “Seek Pleasure at All Costs.” Bliss is what connects you to the rhythm of the universe – it’s the place where your deepest joys intersect with society’s deepest needs. Campbell only half-jokingly said that he should have called it “Finding Your Blisters” because sometime bliss is hard work. It’s not all fun and games. Two stories in Finding Joe are particularly powerful and pretty much sum up Campbell’s philosophy. The film opens with the story of the Golden Buddha, which is a fabulous allegory about the amnesia we all suffer from about our true identities. All of us are golden inside, with the seeds of heroism planted in us just waiting for us to discover them. Along with this story is the tale of the Tiger and the Cub, which again underscores the sad fact that most of us plod through life oblivious about our true special nature. Someone or something has to wake us up and jolt us into awareness about our True Self. If I had a problem with Finding Joe, it was its over-emphasis on self-improvement and under-emphasis on more global, societal advancement. Campbell did not view the hero’s journey as solely a self-betterment process. The more important goal is moving society forward toward collective enlightenment. Greg, you and I have emphasized the importance of the hero’s return in allowing the hero the opportunity to “give back”. Without this importance stage, the hero’s journey is merely a test of personal survival. Heroism is so much more than that, and I would have liked this film to give the ultimate goal of societal well-being much more air-time. Overall, I have to give Finding Joe the full 5 Reels out of 5. The stories, the examples, the interviews, and the message are all extraordinarily powerful. The film and all of Campbell’s readings should be central components of our school curricula, as young people need to know the blueprint for the life that awaits them. By Greg Smith in 2019, 4 Reels on February 10, 2019 .